We are officially in week 7 of our semester in Chicago. Time is flying! I have settled into a bit of a routine here and am really enjoying my day to day life. Here are just a few things I’ve been loving lately! This European-style cafe is just a few blocks south of our apartment. 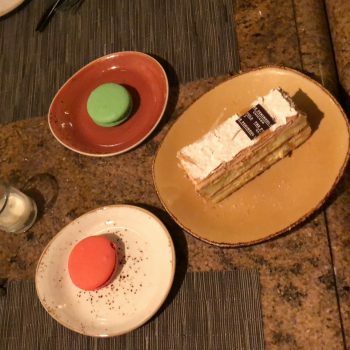 We had the most amazing dessert and the cutest macaroons. Sweets are my favorite and I have already discovered many great places to stop for a treat! 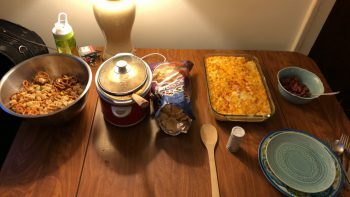 Some of us girls have been getting together to eat food, chat and watch the very controversial Bachelor! 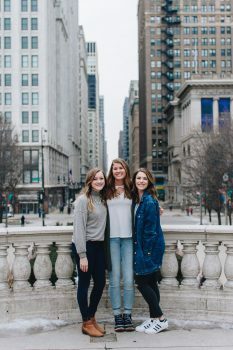 It has been such a joy to develop a community of people who all share this new experience of being in Chicago. Getting together each week allows us to connect on how we are adjusting and share stories from work and our exploring. Two of my roommates from Dordt came to visit for the weekend! We ate lots and lots of food, walked many miles, and took in so many great sights. 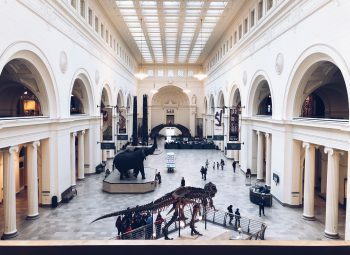 We visited Restoration Hardware, the Shed Aquarium, the Field Museum, Lincoln Park Conservatory, and more! (Shameless plug: visitors are ALWAYS welcome). 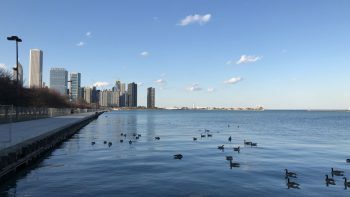 We were blessed with beautiful weather last week (the high 50s!) and I was able to get a run in outside. You can’t complain much when your view looks like this! Each day I am met with new tasks and opportunities to grow professionally. I am learning so much about fundraising and events within a major institution. We are gearing up for our Women in Science Luncheon on April 3rd where Jane Goodall will be our keynote speaker. So many people are coming out to hear her and the response has been overwhelming! We have all hands on deck to prepare for her time in Chicago! I am loving the fast-paced life of living in the city. I was worried that adjusting to city life would take time, but I have found myself quickly adapting. Patience is not my strongest trait, but I’ve learned to embrace the “hurry up and wait” that comes with trying to get somewhere. Overall this experience has proven to be much more than I ever imagined, and I can’t wait to see what the next half of the semester will hold!